The beautiful Glaucous Macaw, sadly extinct less than a century, is a prime example of what might happen to many species of Macaw if we do not learn from our mistakes. The Glaucous Macaw was once a shy, talkative, social wild bird and pet. Kept in captivity, it could be taught tricks and speech and formed strong bonds with its keepers, heeding their admonitions and praise and loving their attention. In the wild, the Glaucous Macaw inhabited the tops of Yatay Palms along riverbanks, where the blue foliage disguised it from predators like the Harpy Eagle. It is believed that the Glaucous Macaw also ate the fruits of the Yatay Palms in addition to ripe and unripe fruits, greenfood and vegetables, and various seeds, nuts, and berries. 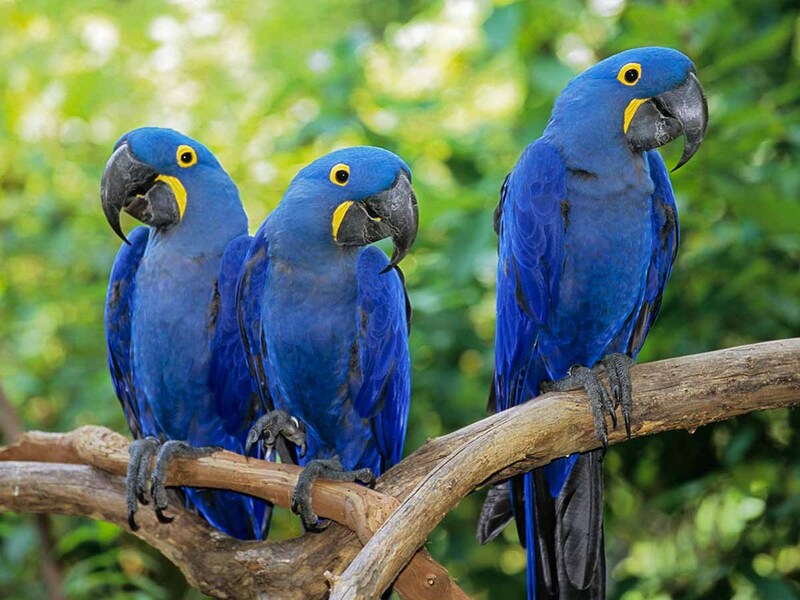 Glaucous Macaws probably lived in social groups divided into mating pairs, like most other Macaws. 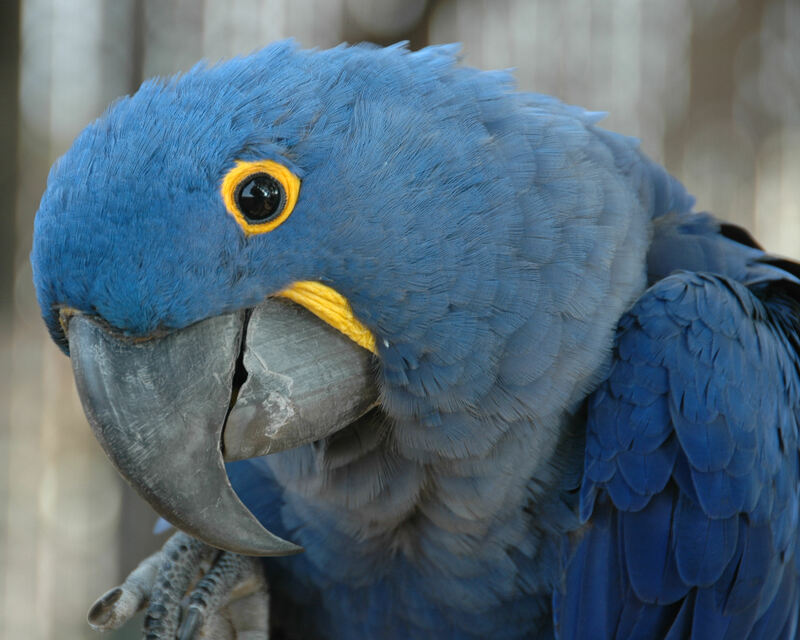 The Glaucous Macaw was often mistaken for Lear’s Macaw due to a similar size and build, but the Glaucous or Blue Macaw had different coloration. Its feathers were blue, and could change hues in different types of lighting! 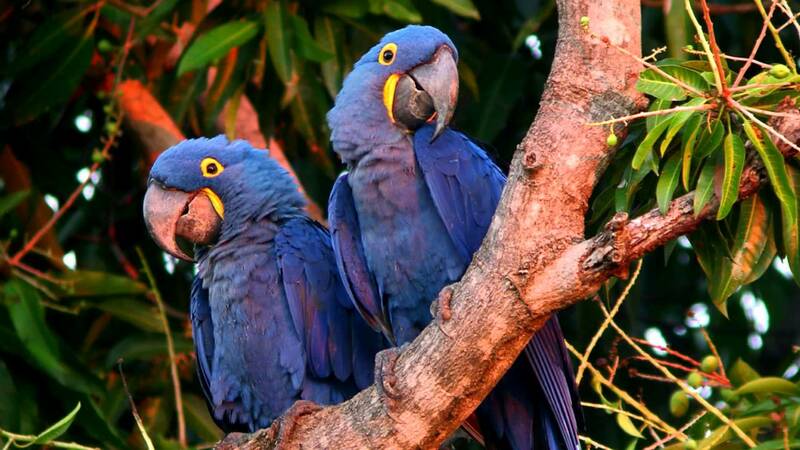 Generally, the Glaucous Macaw’s plumage was a brilliant greenish-blue. The back of its neck has a distinctive gray-blue coloration. 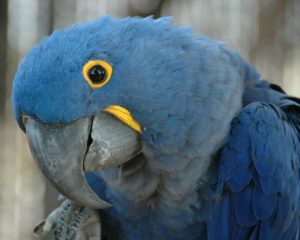 The head and nape of the Glaucous Macaw was generally a bluish-gray color also, with a grayish brown throat and chest. The undersides of the wings and tail on the Glaucous Macaw were a black to dark gray color, but the topside of the wings was a bright sky blue color. The typical Macaw bare facial patch began a yellowish coloration, which extended down to the base of the Glaucous Macaw’s black bill. Its eyes were yellow with a dark brown iris and the feet were a dark gray color. Generally, Glaucous Macaws grew to about 28 inches in length. At one time, Glaucous Macaws were native to the extensive tropical forests of Yatay Palms in riverlands and swamps of northeastern Argentina, Northwestern Uruguay, central and southern Paraguay and southern Brazil. These forests disappeared when explorers discovered their presence indicated fertile farmland. 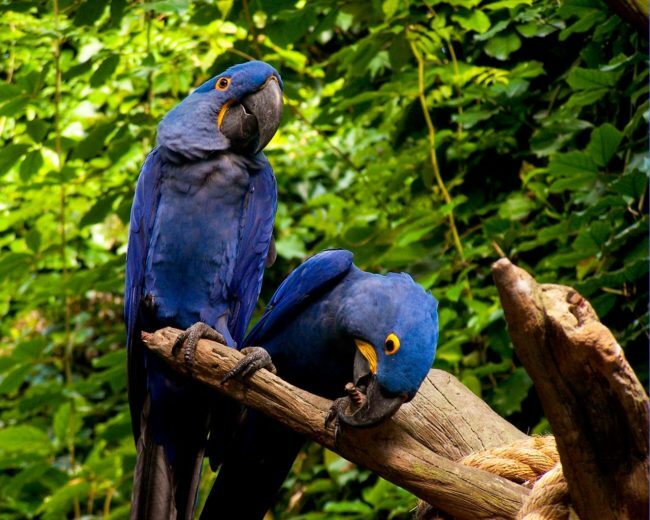 Without a habitat, the Glaucous Macaw quickly became extinct. Glaucous Macaws were also hunted by locals for food and captured for the pet trade. In 1767, a Jesuit missionary, Sanchez Labrador, was the first to note the Macaw, followed by several others including Azara in 1802 and D’Orbigny between 1827 and 1835. In 1965, Argentina set up national parks for the Yatay Palm when it had become all but extinct, but it was too late to save the Glaucous Macaw. The last confirmed Glaucous Macaw died in the Buenos Aires Zoo in 1938, although there were various unconfirmed but highly likely sightings of these birds in the wild until the early 1930’s. Despite repeated recent efforts to locate the Glaucous Macaw in the wild, naturalists now believe that the bird is indeed extinct and that recent reports of sightings or of captive animals are proving to be fabrications. Since Glaucous Macaws are believed extinct, no one really knows how to care for them. It is believed, however, that they require softer fruits than most Macaws because their beaks were not strong enough to crack extremely hard fruits and nuts. Breeding habits are largely unknown. The Glaucous Macaw would have nested in both living and dead trees, especially palms. It is thought that pairs of Glaucous Macaws may also have nested in cliff hollows or cracks along large rivers in their habitat.